Rarely offered, this first floor Dogwood model in one of the most sought after properties in Heritage Bay. 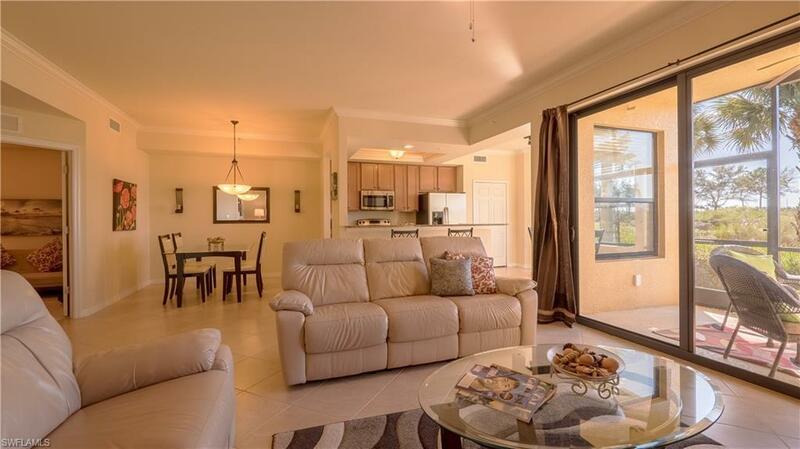 Enjoy the convenience of being on the first floor with a fantastic golf course. The Dogwood model, unique in design, features an open concept living space with a separate dining area not offered in the other verandas. Built in November 2012, impeccable condition, occupied only seasonally. 2 bedrooms, 2 bathrooms plus a den which can be used as a 3rd bedroom and eat-in kitchen. 2 Lanais and garage. Upgrades include, granite counter-tops, tile on the diagonal, crown molding, stainless steel appliances, light fixtures in Dining room, Kitchen and fan in Lanai, key-less internet access door lock, lights and thermostat control with hurricane impact windows and doors not found in some older units. Full country club amenities, gated community, 27 holes of bundled Championship golf, a very active tennis program, pickle-ball courts, fitness center, main pool, 5 satellite pools and a clubhouse with fine and casual dinning.